The Braswell-powered CI323 is rumored to be ZOTAC's best-selling fanless ZBOX to date. The Celeron N3150 barebone also provided the C-series' best thermals to date. Coincidence? We think not. 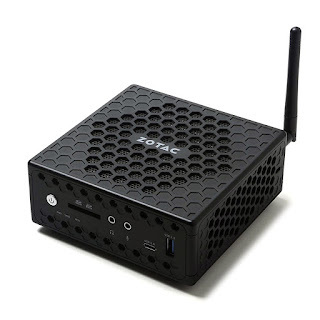 While the market is craving for fanless mini PCs, customers will simply not tolerate cooling systems relying on the CPU's throttling function. Now that that's settled, the brand new ZBOX CI327 (Celeron N3450) is available for $159.99. 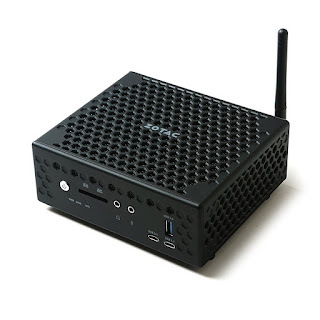 The much more powerful - Core-based - ZBOX CI527 (i3-7100U) retails for $380.40. Interestingly, the i3-7100U (3819 CPU Mark) outperforms the desktop i3-2100 (3662 CPU Mark) from few years ago, making this fanless little box a legit desktop replacement. Update: The i5 version is now available for $399.90 (should increase soon).